When Seahawks Run: When these two teams first met, Seattle ran successfully with the since IR’d Thomas Rawls, as well as Wilson on occasional keepers, as the duo combined for 151 yds. Lynch, you gotta figure, will take over every down duties now that he’s back. However, given his injury, and given Christine Michael’s recent resemblance to the 2nd round pick that he was, I wonder if we don’t see a 65/35 split in carries, maybe even more equal. Here’s what I will say: Seattle will be making a MISTAKE if they feel obligated to pound the ball with Lynch 20+ times just because he’s Marshawn Lynch…It’s not 2013 anymore: Defenses now respect Wilson’s downfield abilities as a passer to the point where I think the Seahawks will see an awful lot of 5-6 man fronts when they come out in those 3×1 sets that they love. Wilson, since he’s smart, will check to runs accordingly, and the holes will be there. As long as Seattle runs when they want to…and not when they feel they have to…they should be more than ok here. 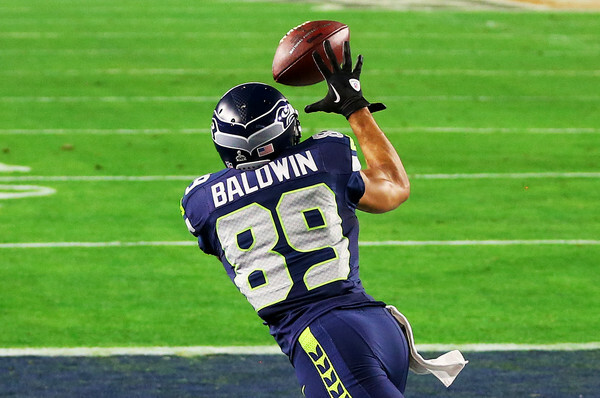 When Seahawks Pass: One of my favorite storylines this year has been that after losing Marshawn Lynch and Jimmy Graham, the Seahawks turned into this dynamic vertical passing offense, completely bucking the smash mouth ethos that they had so thrived with in the Legion of Boom era. It was almost as if having those two superstars, their egos, and their ball-neediness to account for inhibited Russell Wilson from being the egalitarian “spread-it-around” wizard that he became. Ultimately Minnesota will get their pressure, Mike Zimmer always does, and the Vikings have the hybrid pieces along the D-Line to execute those twists and A-gap stunts that Zimmer loves so much and employed in Cincinnati. I think that Wilson moves the ball well here, but it won’t be a cakewalk. Minnesota will hit him, and he will likely lose at least 15-20 yards on sacks this game. At the end of the day however, you’re gonna be looking at 270ish passing yards and a couple of scores. The thought of the youthful and spry legs of Doug Baldwin and Tyler Lockett feeding the 37-year-old Terrence Newman double-moves on the outside all day should give Minnesota fans indigestion. 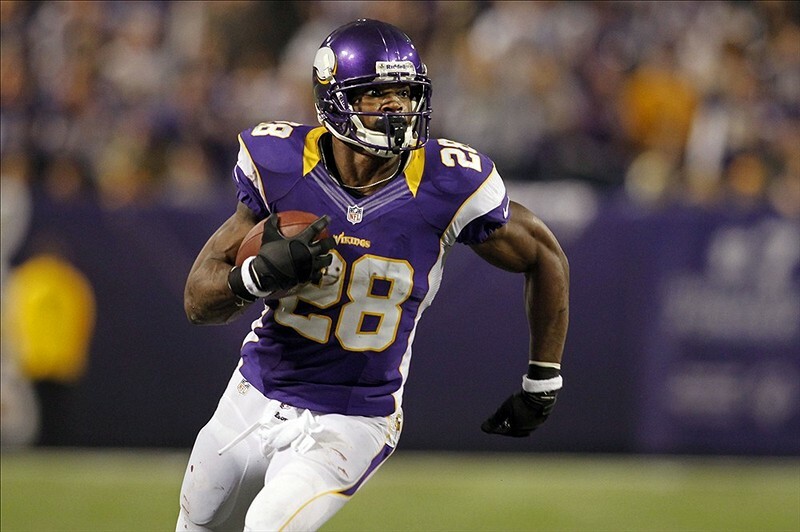 When Vikings Run: Adrian friggin Peterson, what else is there to say? He’s the best back anyone born after 1990 has been alive to see, and if he single-handedly carries Minny to victory here, it will be yet another notch on his golden jacket. Regardless of game-flow, and regardless of how far the Vikes potentially fall behind, AD is touching the rock >25 times, you can book that. Naturally, what he does with those 25 touches is up to how well Wagner, Wright and Irvin play on the other side of the ball, and how well Teddy is throwing. Either way, it’s going to be tough sledding here: Seattle was 1st against the rush in yards, and 3rd in weighted rush DVOA, so every inch Peterson gets will come with a couple bruises to match his purple uniform. I still think he gets his 80-100 yards on sheer volume, but how well the Vikes run has more to do with Bridgewater alleviating the stacked boxes with big throws than anything else. Lack of Arm Strength—You ever seen Bridgewater try to stick a back-shoulder route outside the numbers? Flutterball. Pennington-esque. Arm strength is the most “overrated” thing of all time…UNTIL that moment when its 3rd and 8 in cold weather and you need to drill an out-breaking route on the boundary. Not happening against this D.
Takes bad sacks: You guys remember the Thursday nighter against AZ about a month ago? Remember how that game ended with Minnesota in FG range? People don’t forget, Teddy. Bridgewater has been sacked 44 times this year, good for 5th in the league, and has fumbled a league leading 6 times on sacks taken inside the pocket. If you’re gonna be a game manager, that’s fine, but grip the rock please, or else it defeats the purpose. Both of the above issues have a common theme: they’re rooted in Bridgewater’s size. Watch him out there Saturday, the eye test will tell you: he’s a slight guy. It’s one thing to be short (Teddy is 6’1) but it’s another thing to be both short AND slight. To make matters worse, Minnesota has built the type of deep threat WR core around him that runs so incredibly counter to his skillset. If Bridgewater had a bunch of…say…Michael Crabtrees to throw to (big bodies, short routes, tough/contested catches) then I think he would look better. Problem is the Wallaces’ and Diggs’ of the world just don’t suit him, he can’t rip that moonball down the sideline. I am going on the record saying this right now: The Vikings will have fewer than 150 passing yards going into the fourth quarter, net of sacks. I don’t see this ending well. 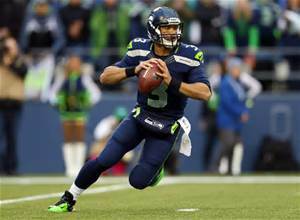 Specials/Coaching/Intangibles: Both teams have good kickers, Seattle’s is slightly better. This won’t matter though. This game is not coming down to a missed kick, or a shanked 19-yard punt. I am giving the obvious coaching advantage to Pete Carroll, because he’s been here before and he’s a ballsy maniac, but I do like Mike Zimmer a lot, and do not think he will be over his head. If Minnesota forces a turnover, look for Zimmer to dial up some sort of trick play for shock affect. HBT’s Prediction: Seattle-31, Minnesota-20. This score will make the game appear closer than it will be. It will be a 31-13 game most of the 4th quarter until Bridgewater throws a Disney movie feel-good TD in garbage time to make things cosmetically better. 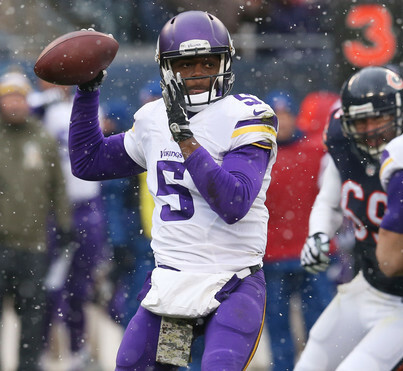 Bottom line is this: Seattle has Russell Wilson, and Minnesota has Teddy Bridgewater. Football can be a complicated game, but sometimes…it’s just that simple. Favorite line in the article… As long as Seattle runs when they want to…and not when they feel they have to…they should be more than ok here. I could not agree more. Very entertaining read with good information. really enjoyed the article. “As long as Seattle runs when they want to…and not when they feel they have to…they should be more than ok here.” could not agree more with this statement. Engaging and informative.